Blogging is fun, creative and great to voice your ideas and opinion to the world. If you've been blogging since a while and your think that it is finally time to work with great brands and PR companies to post blogs and make some money too, it may be a difficult task to find sponsored posts for your blog. A lot of bloggers have a large audience, perfect ideas and a great platform and long to work with brands for their blog, but the question is, how? As a blogger, here are few tips and ways for how to find great sponsored posts to work with and get hired by brands and companies. A lot of bloggers fail to realize how powerful a tool can twitter be. Twitter can help a blogger in many ways and if a blogger is looking for brands and companies to work with, Twitter is a major tool. Whether you're a fashion blogger, tech blogger or an entertainment blogger, a lot of companies are looking for bloggers and tweeting tweets about various blogger requirements in Twitter and all you need to do is find them and contact. Since a lot of people may come visit your blog, there may be a lot of companies who are organizing bloggers campaign and would be interested to ask you to join as well. But in order for them to ask you, they need to find a way to contact you and hence, a good contact page, where all the details on how one can contact you should be available which is really essential. If you're an influencer, who has a blog and a great social media following, Sverve can help you a lot to connect to a lot of people who may need your help and will pay you. Like Izea, Sverve is another site, which connects a blogger to a large number of big brands and PR companies who launch blogger's campaigns you can participate in and earn some extra cash as well blogging. 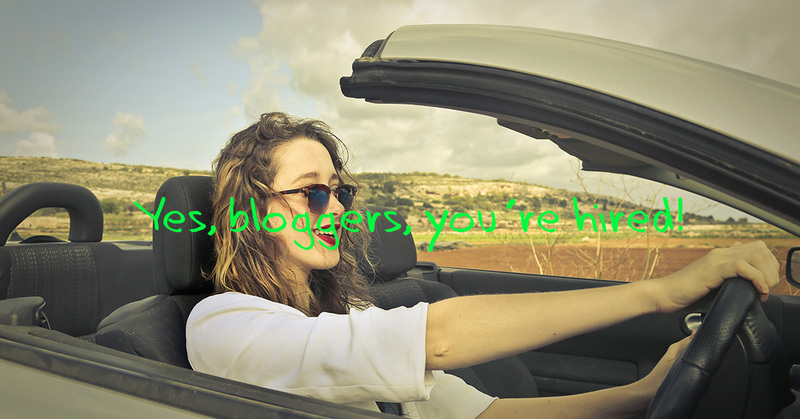 Not only you can be an influencer as a blogger, but also if you are a Vlogger, youtuber or have great Twitter followings. Instagram can be one big tool for a blogger if you know how to use it right. Especially if you're a fashion blogger or a photo blogger, use Instagram to display you works to people and use a lot of hashtags to get exposure. There are a lot of brands and companies looking for bloggers in Instagram and if you have it on you, then blogger, you're hired. Use hashtags describing your blogs and photos to attract brands and companies. Follow big brands and try to keep touch. Search for popular hashtags like #BloggersWanted, #BBloggers. #LBloggers, etc and check out various campaigns brands launch and contact. BlogMint has been growing rapidly amongt the Indian blogosphere. It is a perfect site for a blogger to join and connect to a lot of companies and brands who are looking for bloggers to work with in India. All you need is to sign up in BlogMint and a lot of blogger's campaign will keep on flying to you, all you need to do is choose what fits the best for you and apply.